One thing I like about Cardi B, is that she always has fun with fashion. On Monday(November 26th) she showed off her designer look for instagram. 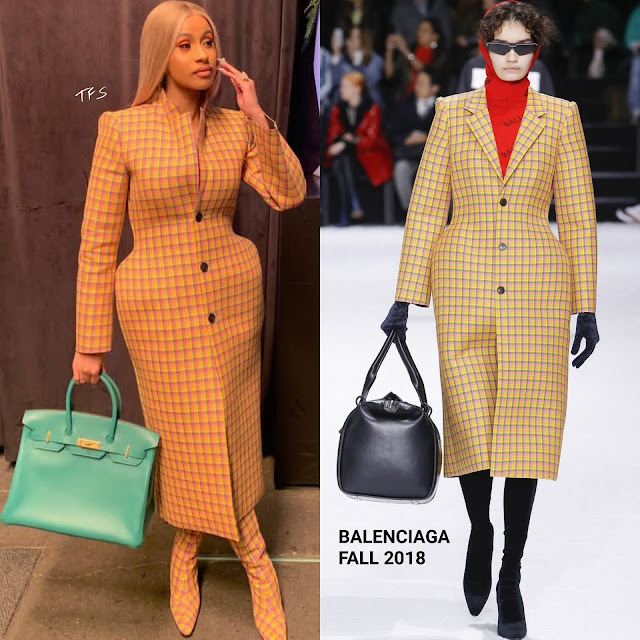 She posed for the gram in a BALENCIAGA FALL 2018 plaid structured coat with the matching boots. You may remember that Vanessa Hudgens wore the skirt in the same print. For an extra pop of color, she carried an large HERMES bag. Center part straight tresses and a red eyeshadow. Are you feeling Cardi's instagram style?